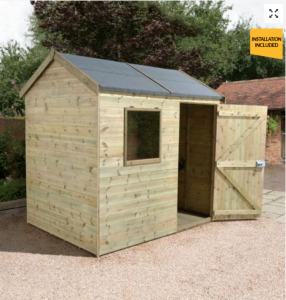 So I bet you’re wondering… Where on earth am I going to get a decent Garden Shed in Scotland? I’ve been trawling the online sites and I can’t figure out who I’m better buying from online. Well Sheddie – look no further. 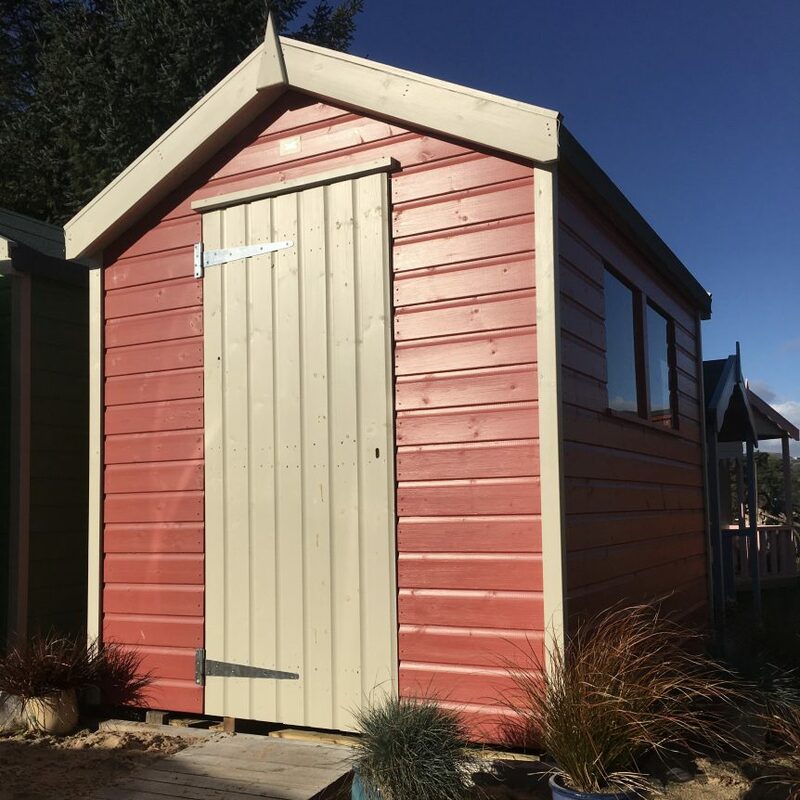 I’ve been through Googles most wanted Shed Suppliers and reviewed the top 3 so you don’t get all ragey at their annoying websites and confusing description specifications. Now if you’ve read any of my previous comparison blogs you’ll know I like to keep things fair. First, Gillies and Mackay Ltd Sheds are NOT in this comparison. Second, We’ll compare 8′ x 6′ Sheds – like for like. Third, We’ll make an honest judgement on what we know from our own 30 years of business manufacturing Sheds. Ugh. Right annoying. BUT none the less – they do deliver throughout Scotland. 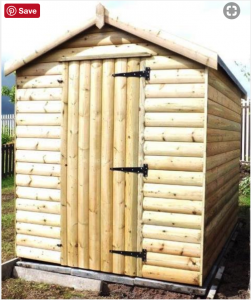 Shed Warehouse Scotland have a huge selection of varying grades – it’s like the Amazon of wholesale Sheds. You can start with a 7mm thick 8′ x 6′ for less than £300.00 – trust me, you don’t want it. I’d say anything less than 16mm thick for the Shed cladding in Scotland isn’t going to withstand our climate for very long. So – I’m going to go for the top of the range and see how it holds up. Shed Warehouse are ticking some boxes with this one. This price includes delivery and installation. The 12mm pressure treated cladding isn’t really as thick as I’d like but it’s pressure treated so it’s better than bare given the quality of the timber #TimberSnob [Redwood v’s Whitewood] they’re using. The framing is lame and the use of OSB isn’t cool – especially when Scotland lashes 6 months of rain on the poor thing and it soaks it all right up. Now not to get totally down on Shed Warehouse please make sure you check the returns policy, this is where I deciphered the timber quality. There is HUGE emphasis on the timber, cupping splitting shrinking and knotting. Meaning they’ve very little confidence that the timber will withstand our climate either. 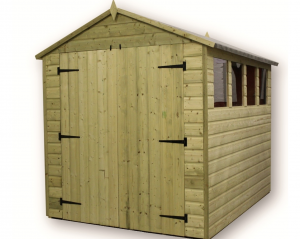 Buy Sheds Direct’s top 8′ x 6′ is fairly similar to that of Shed Warehouse. Just a quick one – premium quality selected European Softwood isn’t an origin of timber. We need to know where that wood is from Sheddies. The Arctic Circle is our top choice for all pine and spruce thank you very much. Complaints, guarantee’s and returns are all a bit vague on this site. They’re directing you to call if you have any problems. The tongue and groove roof and floor is definitely the better option although the thickness again isn’t good enough. Yipee Stewart Timber actually in Scotland! I know mad. These guys are in Cumbernauld and serve the Glasgow and Central Belt area of Scotland and their Shed ain’t too bad either. The info on their website isn’t fantastic but it does give me enough to go on. All of our sheds come with installation included in the price on your level base. Stewarts have a really sweet deal here. 21mm thick half log tongue and groove? Insane value for £545.00 including the Vat, Delivery and Assembly. I have no idea how they’re doing it to be fair and I’m struggling to find a catch. Their website copy is genuine and it feels like they’re actually catering for their customers. Interested in what’s best for them. And wait for it… They have a blog?! Pretty special stuff right there. It’s not often you find the cheapest is also the best value for money and quality of product, but in this case, Stewart Timber definitely WIN. If you happen to live within their delivery radius you’ve got yourself a cracking Shed. I’m not keen on wholesale, especially for such a high value, variable product like Sheds. There are so many different levels of quality when it comes to timber buildings I just can’t imagine wholesale managing to deliver on quality and service. I am yet to be proven otherwise. I will keep searching though Sheddies – it’s what I do to make sure I’m on top of my game. Here’s some related content you might be interested in if you’re looking to buy a Shed. Until next time, any questions you know what to do!